Heinrich has spoken. It is a miracle. The impossible has happened! Despite the terrible government shutdown (which he supported, through his actions!) we hear from Heinrich despite the fact that he said during the government shutdown it would “not be possible” for him to respond to communication he received. 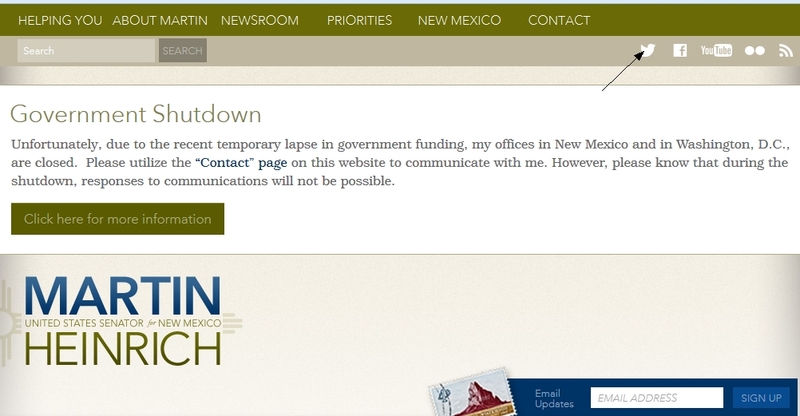 Unfortunately, due to the recent temporary lapse in government funding, my offices in New Mexico and in Washington, D.C., are closed. Please utilize the “Contact” page on this website to communicate with me. However, please know that during the shutdown, responses to communications will not be possible. Top priority is to reopen the gov't. House Republicans need to do what's right for their constituents & stop being reckless & irresponsible. Blaming Republicans is very important. Heinrich wants HIS constituents to believe that HIS irresponsible vote to support Obamacare had nothing to do with the shutdown. But it did. 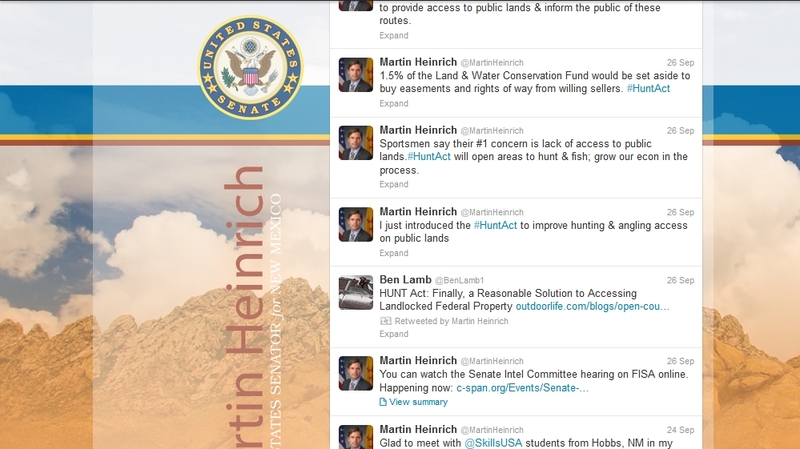 Heinrich is not only looking ridiculous for claiming his office is completely shut down, but also looking like a hypocrite for tweeting from his government Twitter account after he said he wouldn’t be able to contact constituents. 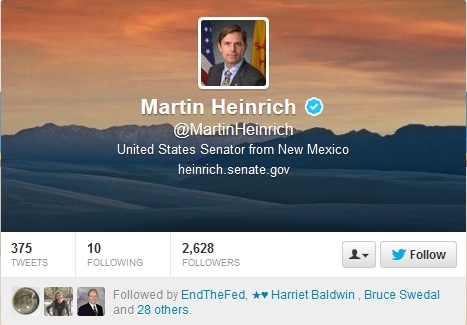 The account tweeted from is indeed Heinrich’s government Senate office account and not his personal or campaign account. Check out the screenshots below and visit his Senate website and Twitter feed to see for yourself. 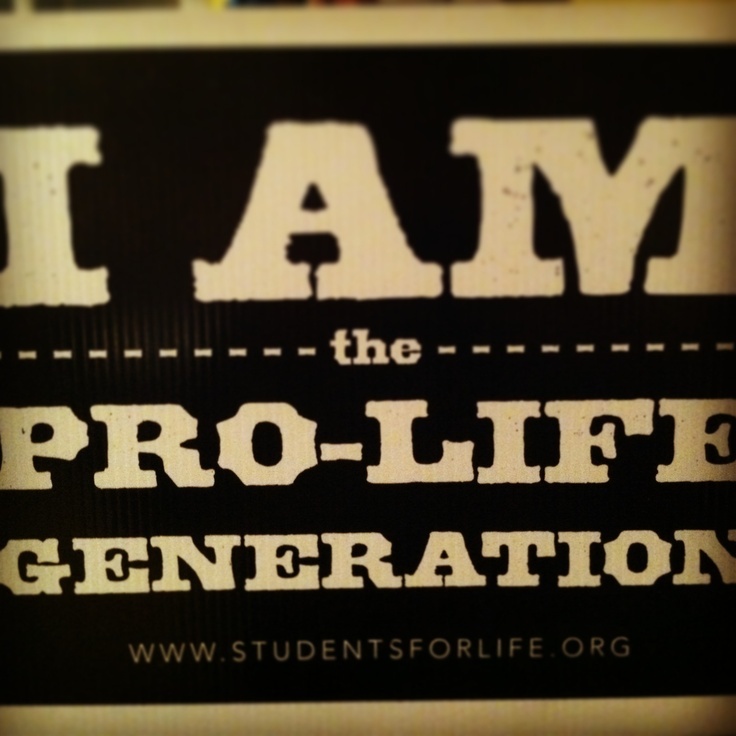 Next Post: Get off the couch: Only YOU can save America! That’s Washington DC! I highly doubt Congressman Pearce was doing either though! He truly cares about our nation, New Mexico and his constituents! Yep!! Nothing like catching a Leftist in his lies!